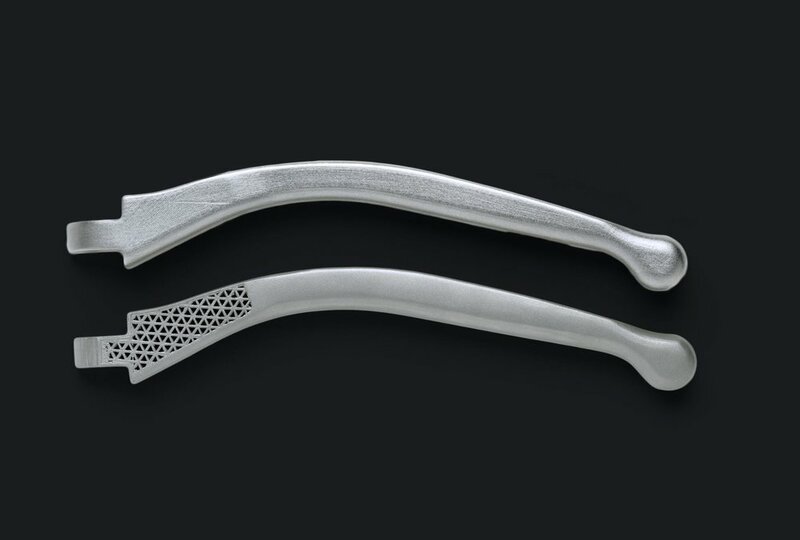 From MarkForged That Revolutionized 3D Printing With Composite Carbon Fiber, Comes A Breakthrough In Metal. The Metal X Greatly Accelerates Innovation, Delivering Metal Parts Overnight Using A New Technology At A Fraction Of The Cost. Leave 20th Century Manufacturing In The Dust And Create Anything From Industrial Replacement Parts To Injection Molds To Working Prototypes. 303 & 17-4 Stainless Steel 303 stainless steel is great for post processing in CNC milling and turning operations. It maintains corrosion resistance up to 800C. We use it in on the drive roller for our fiber system on the Mark X. 6061 & 7075 Aluminum BETA As a general purpose aluminum, 6061 combines good machinability, strength, and weldability. It can additionally be anodized with a good finish. We use it for many of the machined components in the Mark X.
ADAM also enables the creation of unique geometries such as closed-cell honeycomb infill. Parts can be printed like the structure of bones - a closed cell inner core encased in a solid outer shell. This geometry is not possible using traditional subtractive manufacturing processes or DMLS. Define A Tolerance Specification In Eiger, Our Cloud Based 3D Printing Software, And The Metal X Will Scan Your Part While It's Printing To Ensure That It Always Meets The Spec. If An Error Is Detected You Will Be Alerted And Can Choose To Cancel The Print Remotely, Saving Time And Material.